Between August 25 and 26, Scott Street between Island Park Drive and McRae Ave will be closed. However, local traffic will be permitted. A detour for all other traffic will be in place, with the appropriate directional signage. The detour will use Island Park Drive, Richmond Road, and McRae Ave. Note that a request for a Local Traffic Only sign at Clifton and Richmond Rd has been made. The closure is occurring so that the contractor for 1960 Scott St can install their crane. A Road Closure Permit has been issued by the City for this work. The following is a brief status report of the Churchill Avenue Rehabilitation as of November 18th, 2013. Thank you again for your continued patience during the construction of this complex project. Below is a summary of work that has been completed so far, what is in store for the remainder of this year, and some details on what is to come in 2014. I would like to take this opportunity to express my appreciation for your continued cooperation throughout the construction process. All traffic control signals and related roadway modifications at Kirkwood Avenue and Clare Street are complete. Installation of new gas mains has been completed. Construction of new storm sewers, sanitary sewers, and watermain, including works on connecting side streets has been completed. Road excavation and placement of Granular ‘B’ sub-base for the new road has been completed. Rock drilling and placement of new Hydro poles has been completed. Construction of new concrete curbs is on-going. Miscellaneous traffic control signals, street lighting, and other utility works have been on-going throughout. Hydro Ottawa overhead line construction and transfers in order to allow for the removal of the old poles will continue throughout the fall of 2013, and into the winter of 2013/14. Line painting on the new roadway. Sewer and watermain construction on Churchill Avenue between Princeton Avenue/Clare Street and Byron Avenue will commence in the spring of 2014, following gas main construction, and will continue into the summer months, with road works (curbs, sidewalks, cycle tracks, paving, etc.) and utility pole relocations taking place through the latter portion of the summer and into the fall. Concrete curb construction will be completed on Churchill Avenue between Princeton Avenue/Clare Street and Carling Avenue, including connecting side streets. Following concrete curb construction, the placement of Granular ‘A’ road base, including vibratory compaction and fine grading of the new roadway will be completed in advance of paving. Paving of base and intermediate courses of roadway asphalt will be completed on Churchill Avenue between Princeton Avenue/Clare Street and Carling Avenue. Construction of temporary asphalt sidewalks behind the newly constructed curbs will be completed for the winter months, along with temporary driveway reinstatements to all residences. Asphalt ramps will be provided along the newly constructed curbs at each driveway location until such time that surface course asphalt is paved. Construction of new concrete sidewalks, raised cycle tracks, boulevards, final driveway reinstatements and detailed landscaping will commence in the spring of 2014 on Churchill Avenue between Princeton Avenue/Clare Street and Carling Avenue. Gas main construction on Churchill Avenue between Princeton Avenue/Clare Street and Byron Avenue is expected to commence over the winter months, with completion by the spring of 2014. Southbound traffic will be detoured away from the construction site via Byron Avenue and Kirkwood Avenue when sewer and watermain construction on Churchill Avenue between Byron Avenue and Princeton Avenue/Clare Street commences. OC Transpo Route 150 will return to its regular route over the winter months, and will then be detoured back to Kirkwood Avenue once mainline sewer and watermain construction commence on Churchill Avenue, north of Princeton Avenue/Clare Street in the spring of 2014. OC Transpo Route 16 will return to its regular route once Churchill Avenue is reopened to two-way traffic, and will not be affected by the 2014 construction. Between Carling Avenue and Princeton Avenue/Clare Street, southbound traffic will continue on the current detour to Kirkwood Avenue from Churchill Avenue via Clare Street throughout the fall. Churchill Avenue is anticipated to re-open to two-way traffic in early December 2013. 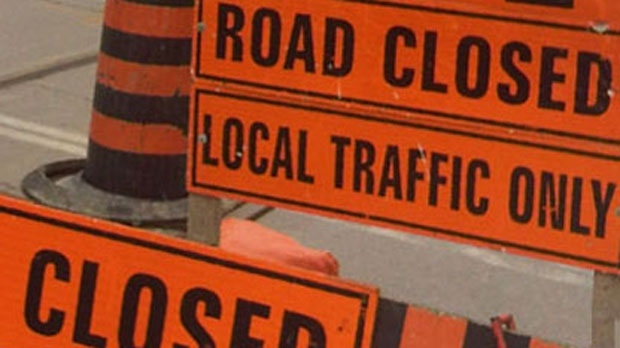 Ottawa – Princeton Avenue will be closed between Edison Avenue and Churchill Avenue starting this Monday, June 3, while crews replace the sewer and watermain. Traffic restrictions will remain in effect until the completion of the work at the end of June. During the same period, Carling Avenue will experience periodic lane reductions at the intersection of Churchill Avenue, while work is being performed to replace sewer infrastructure. These lanes restrictions are both associated with the Churchill Avenue Rehabilitation project. This is a $21-million project that will replace and rehabilitate current underground infrastructure along portions of Churchill, Princeton and Dovercourt Avenues, improve the streetscape, and add new dedicated cycling facilities on Churchill. For more information visit ottawa.ca. Churchill Avenue Rehabilitation is an Ottawa on the Move project. Ottawa on the Move is about keeping our community and economy moving forward through strategic investments in a number of transportation, water, and sewer projects to build a better city and create jobs. For further information on construction projects, and for travel tips to ease disruption, please visit ottawa.ca. Installation of a Traffic Control Signal. Addition of northbound and southbound left turn lanes. Perform all curb work required for the safe operation of these new intersection features. Construction is tentatively scheduled to occur in the summer of 2012.
Review drawings of the proposed intersection design. Provide comments on the proposed design. The Project Manager will be happy to discuss the project and answer your questions. 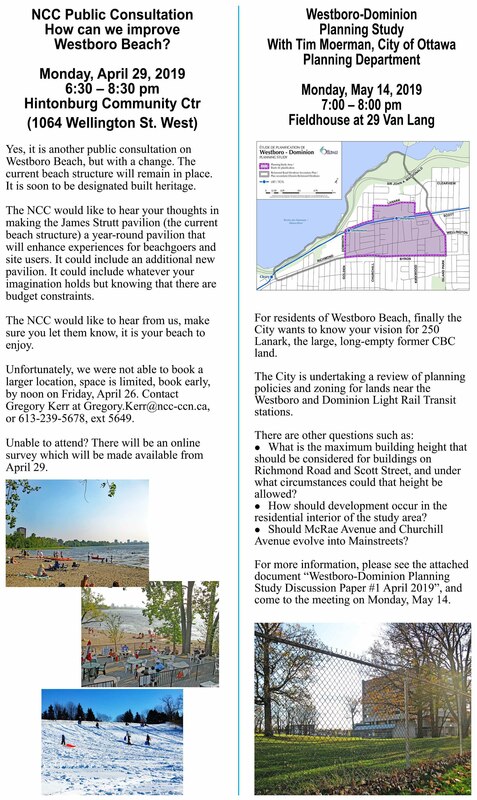 Your feedback is an important part of the consultation process. Comment on the proposed intersection modifications should be submitted by Friday, June 22,2012.